Papaya cruise was built in both modern western styles and classic. 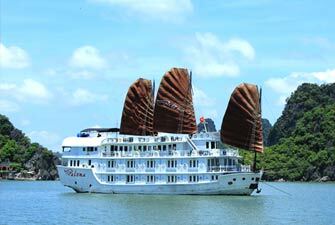 Papaya cruise covered by 9 deluxe cabins with wooden furnishings, airconditional and en-suite Bathroom system of cleverly – designed windows for amazing views of the insight, and a panorama scenery on the sundeck zone creating a new breakthrough in seeing the beauty of Halong Bay. 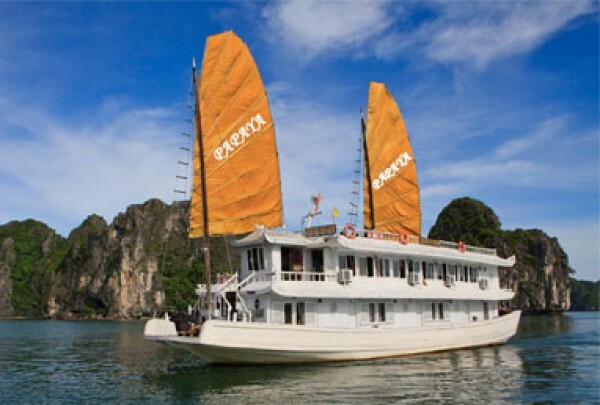 Introduce about Papaya Cruise in Halong bay. Papaya cruise was built in both modern western styles and classic. 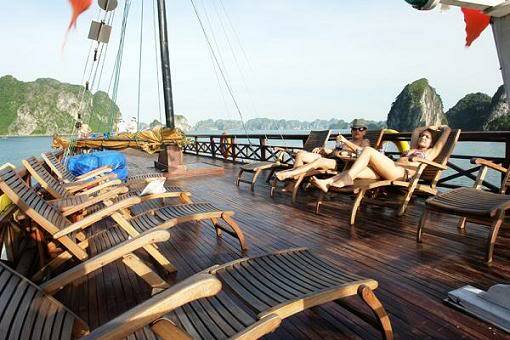 Papaya cruise covered by 9 cabins with wooden furnishings, airconditional and en-suite Bathroom system of cleverly ? 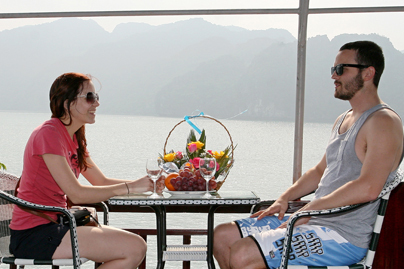 designed windows for amazing views of the insight, and a panorama scenery on the sundeck zone creating a new breakthrough in seeing the beauty of Halong Bay. - Kayaking 2 person/1 kayak. 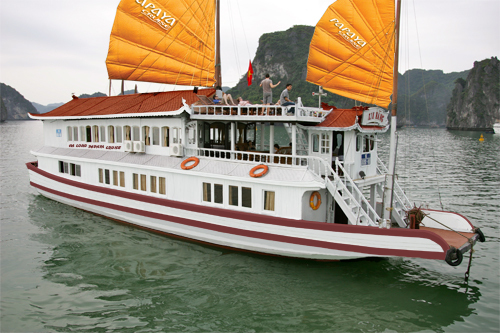 - Vietnamese cruisine (breakfast, lunch, dinner). - Fresh fruit, tea, coffee. - 1 small bootle water on bus. - Entertainment Activities and Bar Happy Hour. - Safety Facilities and First-Aid Equipment. 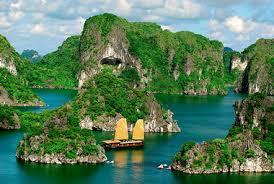 12.00 Arrive in HaLong Tourist Wharf. Transfer to the Boat by tender. 13.15 -14.30 Having lunch with Vietnamese lunch served on boat. 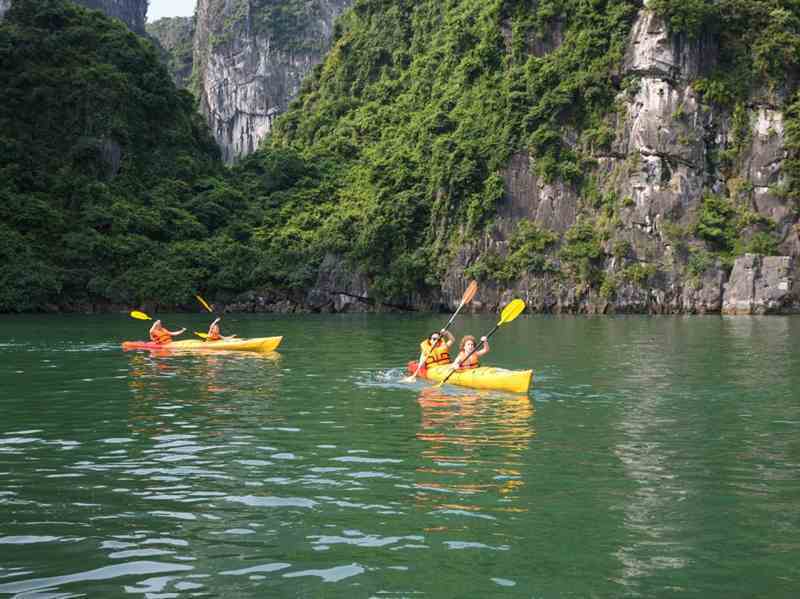 16.00 Kayaking around Halong bay for 1 hour. 21.00 Free time for relaxing, drinking or singing karaoke. 8.00 Start your day with breakfast, more cruises to other part of the bay. 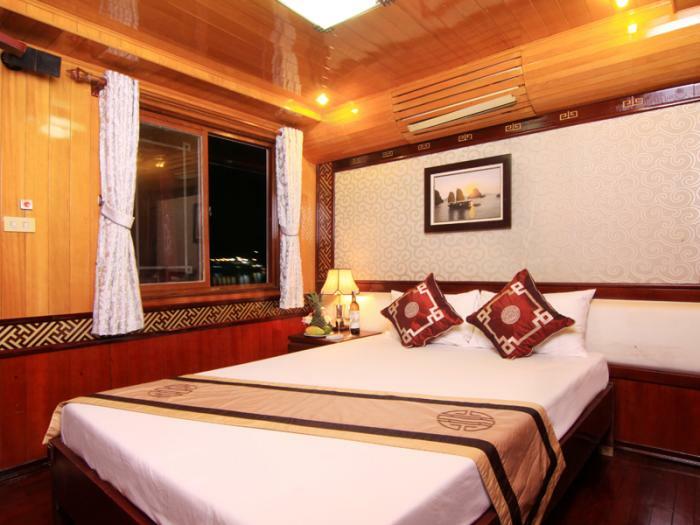 9.30: Check out your cabin coming back to Halong wharf. 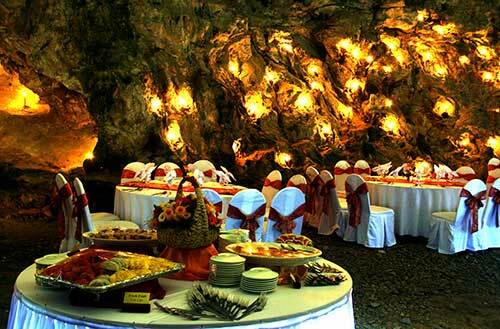 12.00: Have lunch in the Restaurant in Halong city. 13.00 Get on the Bus back to Hanoi. Included: tea and coffee in the morning. Entrance fees. English speaking guide during the trip. Cabin with Air-condition, private bathroom, hot shower. All meals mention above (02 Lunches, 01 dinner, 1 breakfast). 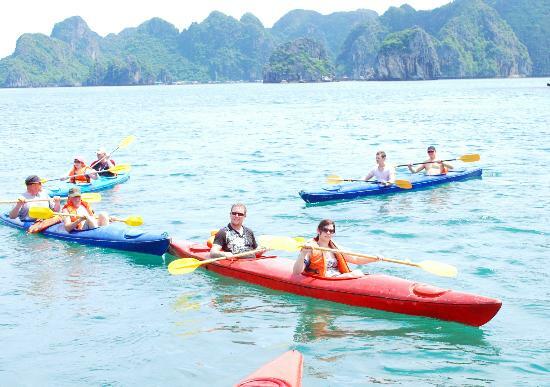 Available activities like: Swimming, fishing, kayaking. Insurance onboard. Tax and service charges. 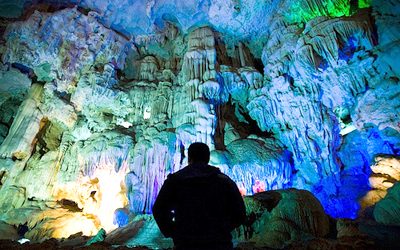 7h45 – 8h15: Our driver and tour guide will pick you up at your hotel or our office depart to Halong Bay, spend 3,5 hours . 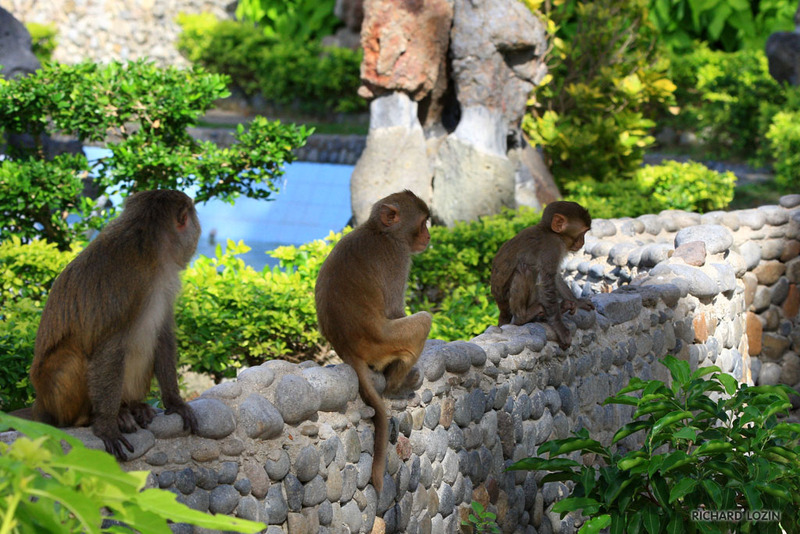 On the haft way stop for short break in Hai Duong Province 25 minutes. 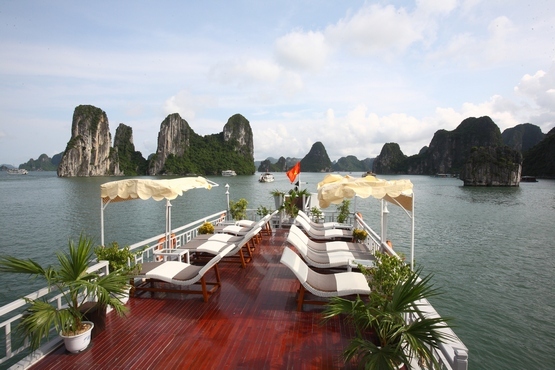 12h00 – 12h30: Arrive Bai Chay port, enjoy welcome drink, crew briefing before checking in cabin. 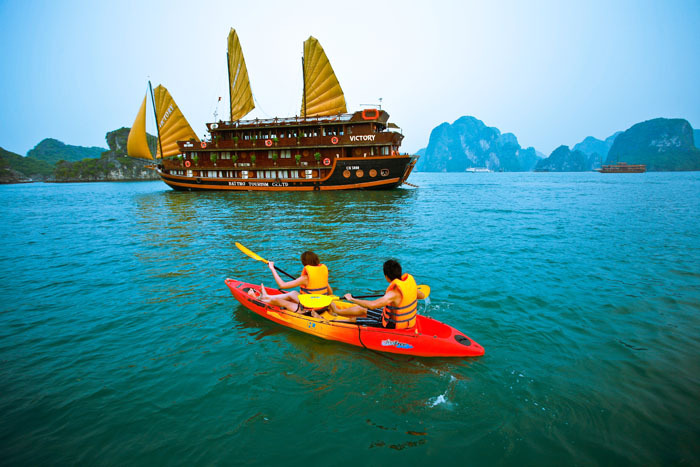 Start cruising and enjoy a Special lunch with Vietnamese Traditional Dishes while the boat slowly slides on romantic waves of the sea to the legendary fishing village. 17h30: Return to the vessel and A welcome tropical fruits, boat anchors at Sung Sot area – the safest place for overnight. 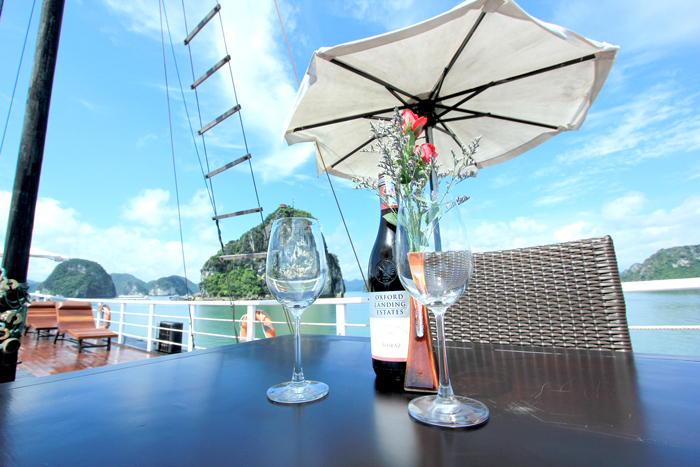 19h30: Welcome Drink a glass of Vietnamese Wine and Enjoy dinner with Vietnamese cuisine. 20h30: Intermingle with activities on board such as Cuttle fish fishing, games on board, socializing with others. Our bartender serves you the best drink at bar, overnight on boat. 15h00: Cruising to Beo tourist harbor for the bus to Cat Ba town after 5 minutes arriving to the Hotel, check in and free time explore Cat Ba town. 19h:00: have dinner in the Restaurant, overnight in Hotel. 16h30: Arrive to Ha noi. Tour End ! - The night in Hotel on Cat Ba Island.